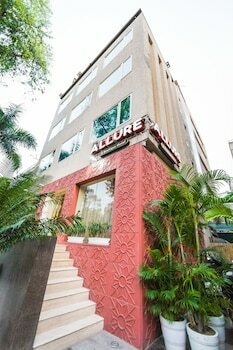 With a stay at The Allure Hotel R-57, you'll be centrally located in New Delhi, within a 10-minute drive of ISKCON Temple and Lotus Temple. Featured amenities include complimentary wired Internet access, a 24-hour business center, and express check-in. Planning an event in New Delhi? This hotel has 875 square feet (79 square meters) of space consisting of a conference center and a meeting room. A roundtrip airport shuttle is provided for a surcharge (available 24 hours), and free valet parking is available onsite. When you stay at OYO 503 Hotel Comfort Zone in New Delhi, you'll be connected to a shopping center, within a 15-minute drive of Lotus Temple and ISKCON Temple. Free self parking is available onsite.